Elementary Choir Practice Tracks Are Coming Soon! Elementary Choir and Band members may come to school in their RA school uniform OR dress up for the day and evening performance. Please silence your cell phones and other devices. The children have worked hard and want your full attention. PLEASE STAY FOR THE ENTIRE PERFORMANCE AND MEET YOUR CHILD IN THE CHAPEL AFTER THE CONCERT! NO CHILD IS PERMITTED TO LEAVE THE CHAPEL WITHOUT A PARENT/GUARDIAN! Welcome Back! 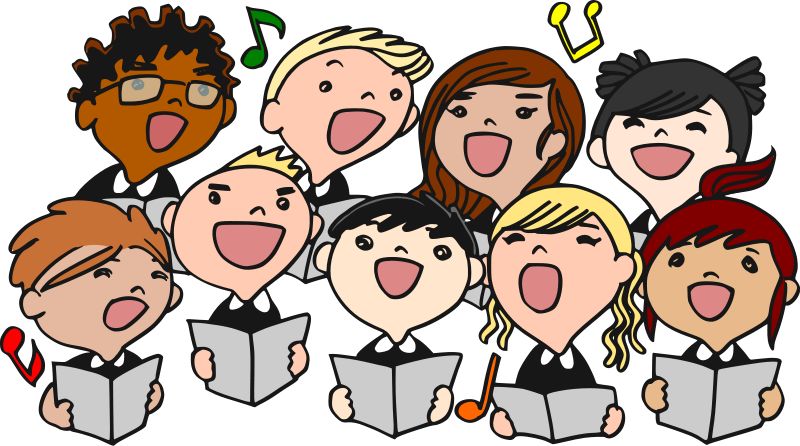 Mrs. Keller is looking for new and returning members that are interested in singing in our Elementary Choir. The Renaissance Academy Elementary Choir rehearses on Wednesdays after school from 3:30-4:45pm in the choir room (room 124 in the Upper School). If you are interested in participating in a group setting and performing at our school concert then please fill out and return the form found in the link above. Mrs. Keller needs a final count of new and returning members by the Monday before the first rehearsal. Our rehearsal schedule is also found on our on-line calendar www.rak12.org. It is important that your child is picked-up at 4:45 pm at the front of the Upper School building (main entrance). You may park in the bus loop or in the main parking lot of Franklin Commons and walk to the front entrance to get your child. As stated in the Renaissance Academy Student & Parent Handbook, if you are late to picking up your child then they will be sent to Club RA. Students will be sent to Club RA in room 38 of the Lower School if not picked up by 4:45 pm (fees apply). Please use this email club.renaissance@rak12.org if your child will be attending Club RA after choir. Choir is a great opportunity to learn how to read music, sing in a large group, and work as a team. To keep our rehearsal space safe for all participants and to save precious rehearsal time, students will be having snack in their homeroom during dismissal before choir is called over to the Upper School. Students will need to follow their homeroom teacher’s guidelines for their snack selections. See you at the first rehearsal!